This is one of the most successful medical procedures of the modern era. 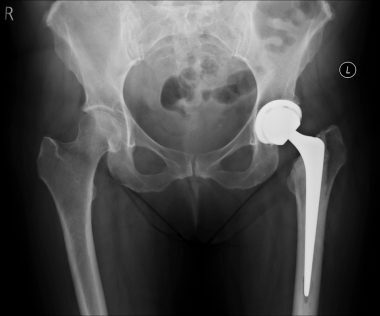 It involves removing the diseased and damaged hip joint and replacing with a prosthetic joint, normally under a regional anaesthetic. 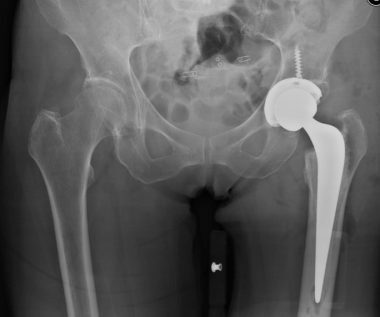 Modern hip replacements function exceptionally well and are expected to do so for at least 20 years (although about 80% will last for more than 30 years). 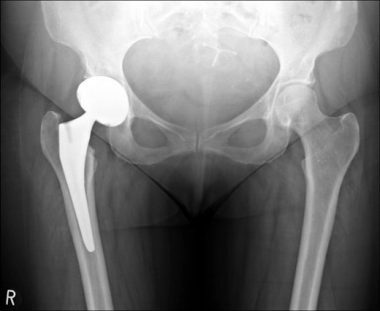 During surgery, which is normally carried out under a regional anaesthetic, the surgeon removes the damaged ball of the hip joint and removes the cartilage from the socket. Both the ball and socket are replaced with prosthetic (artificial) parts which allow the joint to move smoothly without pain. These are held in place with or without bone cement. Your surgeon will be able to recommend the best type of replacement joint for your condition. Swelling: Swelling and bruising around the hip joint and in the thigh and knee is common after hip replacement surgery. The swelling may feel tight and a little uncomfortable. It is not uncommon for the limb to remain slightly swollen for at least 6months. Unequal leg length: Although the surgeon will try to ensure that your leg length is the same, sometimes surgery can result in slight inequality which may require orthotics to ensure your walking is not affected. 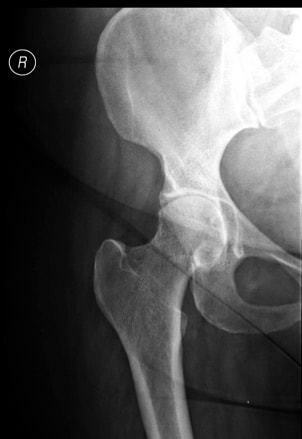 Fracture: This is rare, occurring in around 1% of cases. This will be noticed intraoperatively and treated appropriately. Rarely small fractures are picked up on the post op X-ray, which is routinely performed the next day after surgery, generally these are treated with reducing the amount of weight you are allowed to put through your operated leg. Swelling: It’s normal for the whole leg to swell after a hip replacement, and to be at its most swollen around a week after surgery. Slight swelling can persist for as long as 6months after surgery but this is not really noticeable after the first 1-2months. Bruising: It’s also normal to have bruising in the buttock and occasionally at the back of your knee. Rehabilitation/exercises: You’ll be helped to walk with the physiotherapists once returned from theatre and we are satisfied that its safe to do so. You will also be given hip exercises to stop the hip becoming too stiff, and to enable you to put on shoes and socks. After surgery, you will be given a rehabilitation programme of gentle exercises to build up your strength and range of movement and in most cases you should be able to return to light everyday activities within three to six weeks. Two walks a day of increasing distance are essential. Use of an exercise bike from two weeks onwards is encouraged. Depending on the kind of work you do, you may need up to six weeks off work. However, you will be advised about this as everyone is different and your rate of recovery may be different from other people’s. We normally recommend that you don’t work at all for the first two weeks, gradually returning to normal after four to six weeks (if your job mainly involves sitting down). Commuting during rush hour is not recommended for at least six weeks after hip replacement surgery. Manual workers may need up to three months to return to normal. 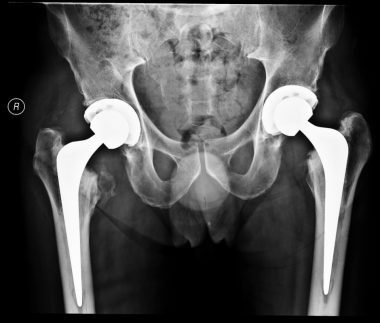 Hip replacements may set off airport security detectors but in most cases, you won’t need to go into great detail about your surgery with the security staff; many people have had some type of surgery involving a metal device and a brief explanation should be enough.